The Honda ACCORD has won "Best of" awards several years running from Car & Driver Magazine because of solid build quality and reliability, and the 2016 ACCORD EX is no exception. 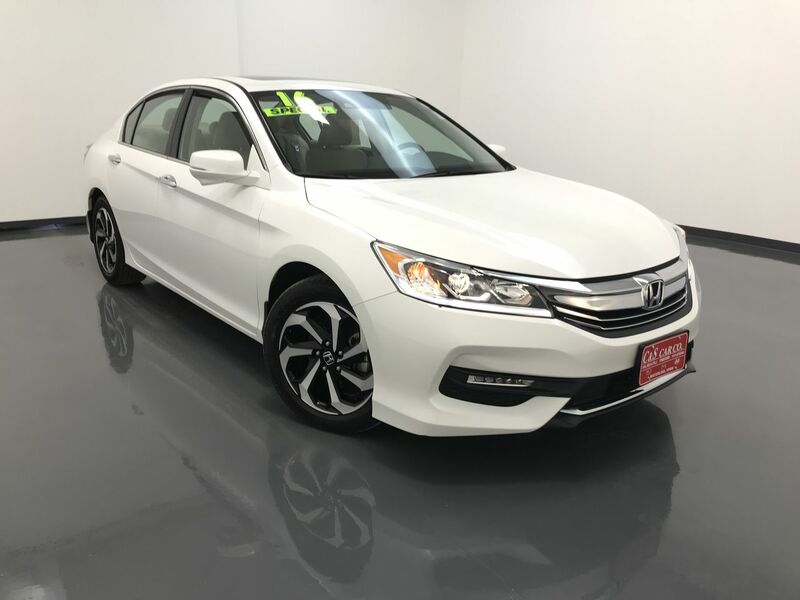 This ACCORD EX CVT sedan with Honda Sensing has power driver's seat, dual climate controls, keyless entry and ignition, a sunroof, traction control with anti-lock brakes, a back-up camera, lane keep assist, and an AM/FM/CD sound system with Bluetooth and Pandora connectivity, The exterior features 17" alloy wheels with Goodyear tires. **One Owner** Call C & S Car toll free at 866-212-8718 or locally at 319-291-7321.